They don’t come back the same. We’re going to get another chance to go down that road. 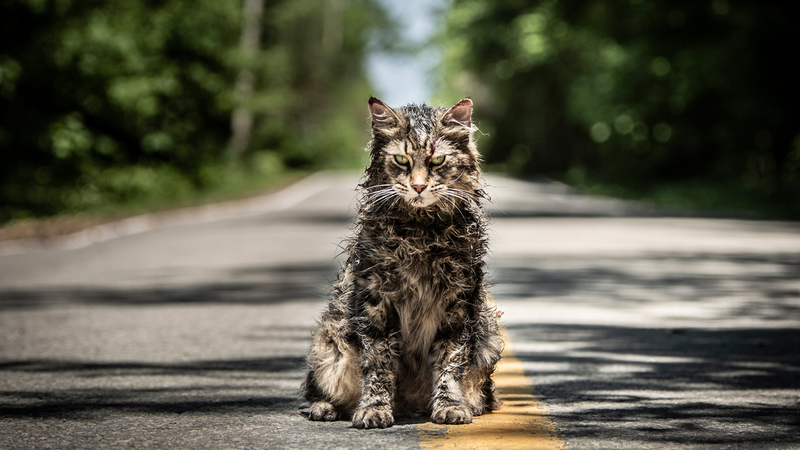 Paramount Pictures has released the second trailer for Pet Sematary, and a few items of note have come to light. It behooves us, as fans of the Stephen King universe and well-made horror films, to investigate fully. First, let’s get the facts. Pet Sematary is a middle-of-the-road Stephen King novel first adapted to the screen in 1989. King published the novel in the early eighties, right around the time of major hits like Cujo and Christine. Paramount Pictures released the movie to a hungry fan base, disappointing most moviegoers with chintz popcorn scares and a general lack of awesomeness. A support character, Jud Crandall, played by the enormously talented Fred Gwynne, received most of the positive attention due to his rich baritone voice and a litany of quotable lines. The movie did age well, however, and still draws attention to this day. It’s one of those movies everybody has seen, but can’t really remember a lot about, but know they didn’t haaate it. It’s the perfect ‘meh’ shoulder shrug kind of movie. The redux, which has a scheduled release date of April 5th, doesn’t seem to have too many fresh takes on the original. Sure, Gage is now a girl, and that guy from Harry and the Hendersons (John Lithgow) is now playing Jud Crandall, and I see what appears to be some gothic ritualistic townsfolk in scary kitty masks. According to the preview, Paramount Pictures flipped the 1990’s pancake over so they could cook the 2010 side to a nice golden brown. Too often these remakes are simply revamped with a few ‘cutting edge’ nouveau scare tactics like pagan rituals and creepy masks and not much thought is put into actually creating work that matters. I’m not saying you should expect to have a deeper understanding of the human condition after watching films in the horror genre, but certain standards must be met. This trailer is edited well and emanates a creepy vibe, but the lack of excitement can’t be overlooked. To be honest, the whole thing seems a bit tiresome. Still, there’s some minor expectations here for success, as the 1989 movie had glimmers of greatness, and the story the King weaves is a fantastic one. I’ll most likely put myself in front of this movie for nostalgic reasons, and cross my fingers that the little things come together to make an enjoyable film. Pet Sematary was directed by Kevin Kölsch and Dennis Widmyer (Starry Eyes) from a screenplay by Jeff Buhler (Nightflyers). It is adapted from the popular novel by Stephen King. Jason Clarke, Amy Seimetz, Jeté Laurence and Hugo & Lucas Lavoie also star. Pet Sematary opens in theaters on April 5th. The part that REALLY got me in the original was the mom’s story about her aunt. She comes screeching and clawing out of the bedroom and it is genuine scary. I think they have a glimpse of that aunt in the trailer for the remake. Thanks for the reads and comments! I saw the original when I was too young to see it. It scared me then and that has stuck with me. This looks good. Another telling of a scary story. Not great but good.